Megan लोमड़ी, फॉक्स as Wonder Woman. A प्रशंसक made poster for the new Wonder Woman movie starring Megan लोमड़ी, फॉक्स. 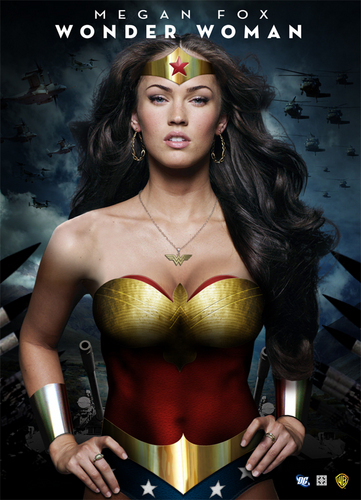 HD Wallpaper and background images in the वंडर वुमन club tagged: megan fox movie wonder woman.